As savvy franchise companies continue to flourish in a changing economy, FUSR continues to bring you good news each month, highlighting brands that are adding units, increasing comp store sales, striking deals with investors, innovating, and continuing to grow, whether domestically or overseas. To be considered for next month's Winner's Column, please send your good news to eddyg@franchiseupdatemedia.com. Yum! Brands, Inc. has signed definitive agreements to sell Long John Silver's, Inc. and A&W Restaurants, Inc. to two separate buyers led by key franchisee leaders. Long John Silver's will be acquired by LJS Partners LLC, led by a consortium of franchisees and other investors. A&W will be acquired by A Great American Brand LLC, led by a franchisee with "substantial interests" in international A&W restaurants, and the National A&W Franchisees Association representing U.S. A&W operators. Both sales are subject to customary closing conditions. Yum! bought Long John Silver's and A&W in 2002 for $320 million, but in January this year put the brands on the market, saying it planned to focus on international growth, especially in China, and on building sales at its Taco Bell, Pizza Hut, and KFC units in the U.S. Yum!, based in Louisville, Ky., is the world's largest restaurant company (in terms of system restaurants) with approximately 38,000 restaurants in more than 110 countries and territories. The publicly traded company reported revenues of more than $11 billion in 2010. With 13 locations already open and operating throughout the United States, Mama Fu's Asian House recently increased the number of restaurants it has in various stages of development to 29 after signing an 11-store development agreement in West Texas and San Antonio. The deal was signed with franchise veterans Ken and Steve Howard, who currently own 15 Buffalo Wild Wings units in West Texas, Oklahoma, and Arkansas. The franchisees are looking to open in Lubbock, Midland, Odessa, Amarillo, San Angelo, and Wichita Falls in West Texas, as well as San Antonio. "When we saw the activity with Panda Express, Pei Wei, and now Chipotle, we wanted to do this quickly," said Ken Howard, noting the growing number of chains in the fast-casual Asian niche. "Mama Fu's has a fresh new look at the Asian market segment and we look forward to taking it to the next level." The Austin, Tex.-based Murphy Adams Restaurant Group purchased Mama Fu's from Raving Brands in March 2008. 7-Eleven To Acquire 28 Locations in the Western U.S.
7-Eleven, Inc. has agreed to acquire the retail interests of 28 locations from Pacific Convenience & Fuels. The acquisition includes sites in California, Oregon, Washington, and Colorado. The transaction is expected to close in the fourth quarter. The 28 sites include two unused parcels of land. All of the locations will eventually be rebranded as 7-Eleven stores, and all will retain the Conoco-Phillips/76 gasoline brands. "This is a strategic acquisition for us, increasing our store footprint in several of our most successful markets," said Sean Duffy, 7-Eleven vice president of mergers and acquisitions. Duffy said that so far this year, 7-Eleven has added more than 400 new locations, and that 2011 promises to be 7-Eleven's biggest year for store growth since 1986. Based in Dallas, 7-Eleven operates, franchises or licenses more than 8,800 stores in North America. Globally, there are about 42,700 7-Eleven stores in 16 countries.Worldwide, 7-Eleven stores generated total sales of nearly $63 billion in 2010. The Glass Guru, based in Roseville, Calif., has added five new franchise locations to its network of full-service window restoration and replacement shops. The additions from Ames, Iowa, and Bear, Delaware, each became the first openings for the company in those states. The other three franchises are in Hemet, Calif., and Ontario, Canada (St. Catharines and Kemptville). There are now four active Glass Guru locations in Canada. The Glass Guru was established in mid-2004 in Roseville, Calif., and has more than 50 locations across North America in 13 states. Corner Bakery Cafe has signed two new franchise agreements that will bring 15 new bakery cafe locations to New York state in the next 6 years. Franchisee and operating partner Fran DeSimone plans to simultaneously develop the markets of Rochester, Buffalo, and Syracuse. "Our original agreement was for nine locations in Rochester and Buffalo, but the overwhelming reception from the market and enthusiasm for the brand led to an easy decision to develop an additional six locations," said DeSimone. The first New York location opened in Pittsford on August 15. DeSimone is on track to have three Corner Bakery Cafe locations open by the end of 2012. Established in 1991, Corner Bakery Cafe is a fast casual restaurant serving breakfast, lunch, and dinner. Acquired by Roark Capital Group in June 2011, the brand has 121 company-owned and franchised locations around the country and franchise commitments totaling over 200 new locations. VooDoo BBQ & Grill Franchise has reached an agreement to open 26 restaurants in Florida - a move that will double the Louisiana-based company's locations. The deal is the largest in VooDoo's nine-year history. The Florida franchisee is BBQ Boyz LLC, owned and run by friends and neighbors Jack and Ilene Flechner, Fred Burgess, and Joe and Barbara Sloboda in Broward County. The first VooDoo restaurant will open in Miami within eight months. The territory encompasses most of Florida and will have locations in Miami, Fort Lauderdale, Orlando, Tampa, St. Petersburg, and Jacksonville. BBQ Boyz plans to open 13 restaurants in the next 5 years and the full 26 within a decade. "There are good barbecue places down in Florida," said Flechner. "VooDoo is different in that it's fast-casual rather than the kind of mom-and-pop shack or the much larger sit-down restaurants that are prevalent. I think VooDoo is really well situated to fill a niche in between." Recent expansion has boosted the company's total number of scheduled openings to 41.The first VooDoo BBQ & Grill opened on St. Charles Avenue in New Orleans on Mardi Gras day 2002. In the largest franchise deal in its 68-year history, Uno's has announced plans for the opening of 30 locations of Uno Due Go, its fast casual concept, throughout Texas. The deal was signed with FGR Food Corp., which owns and operates multiple franchise concepts in Dallas. FGR is already identifying sites including suburban locations, airports, hospitals, and stadiums and will be building within the year. "We took a chance on Uno Due Go because we had faith in the concept and in the intelligent strategic business partner we had in Uno's," said Rob Goldblatt, COO of FGR. "This time around, it's a proven concept for us. It is a strong return on investment - we have seen three years of double-digit growth and excellent operating results since the day we opened." Founded 14 years ago, FGR opened the first two Uno Due Go restaurants in December 2008 in the Dallas Fort-Worth airport. Since then, another franchisee, the Compass Group, opened two college locations at the University of Wisconsin Whitewater and Cleveland State University. Uno Due Go focuses on organic, natural and locally sourced ingredients, and includes made-to-order and ready-to-go menu items. This is Uno's first major franchise deal for its 3-year-old fast casual concept. Kumon is opening four new centers in South Carolina before year-end in Lexington, Taylors, Aiken, and Myrtle Beach. Kumon also is offering incentives to new franchisees who want to open in Columbia, Charleston, and Greenville, S.C. "We offer business incentives up to $27,500 and quality-of-life flexibility. Our $2,000 franchise and materials fee is the lowest in the industry," said Joseph Nativo, chief financial officer of Kumon North America. Founded in 1958, Kumon has 1,334 centers in the U.S. and is the world's largest after-school education company, with 26,000 centers in 46 countries and more than 4 million students. Kumon North America is headquartered in Teaneck, N.J.
Another Corporate Refugee: Fresh Coat Painters Opens in Greenville, S.C.
"I was burnt out and needed a life change. At the end, I was the senior director of four divisions and working 50 to 60 hours a week," said franchisee Steve Forbes. After more than 20 years in the "corporate grind," Forbes left his job as an operations manager and purchased a Fresh Coat Painters franchise in Greenville, S.C., which will serve Greenville, Anderson, Spartanburg, Simpsonville, Greer, Travelers Rest, Easley, and their surrounding areas. Founded in 2004 in Cincinnati, Fresh Coat is in more than 100 cities across the U.S. and Canada. Citizens Bank has opened a full-service branch inside a Dunkin' Donuts in Cambridge, Mass., its second such venture. Two years ago, Citizens opened the first branch of this type in a Dunkin' Donuts in Bellingham, Mass. The bank branch features three teller windows and a full-service ATM, as well as two private offices. LivHome, a provider of at-home care for seniors, has awarded a new franchise in the Denver area. The territory, which includes Denver, Lakewood, Littleton, and Englewood, is home to more than 50,000 seniors aged 65 and older. The franchise will be operated by Toni Maldonado and is scheduled to open later this year. In addition, Maldonado has signed a development rights agreement for two additional Denver-area franchise territories. "I'm looking forward to leveraging my 30 years of healthcare experience," said Maldonado. Based in Los Angeles, LivHome has company-owned locations throughout California as well as in Arlington, Va., Atlanta, Boston, Chicago, Houston, and Silver Spring, Md., and is looking to franchise across the U.S.
Fresh Healthy Vending has reported record growth in July and August, adding 15 franchisees who purchased 170 healthy vending machines, and existing franchisees added 22 machines. 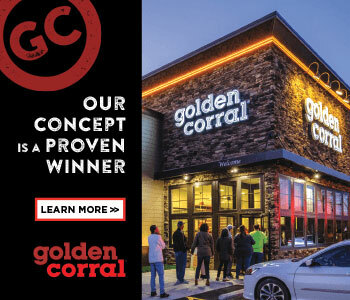 The company also tallied an additional 224 location contracts for its franchisees in the months of July and August, which set another record for the company. The machines, which offer healthy alternatives to traditional food vending machines, are being placed in schools, offices, and other locations. The company also is targeting the San Diego area with corporate-owned machines and was projecting more than 35 locations by the end of September. "Our business model is turnkey, easy to operate, and happens to be in one of today's most exciting categories, health and wellness," said company CEO Jolly Backer. The brand now has 85 franchisees operating in more than 40 U.S. states and 5 provinces in Canada. Owners of The Melting Pot Restaurants announced the national franchise launch of Burger 21, a new fast casual concept featuring 21 chef-inspired burger creations, hand-dipped signature shakes, and more - including 10 beef-alternative burgers made with sushi-grade Ahi tuna, shrimp, turkey, chicken, vegetables, or black beans. Burger 21 opened its first corporate-owned restaurant in Tampa, Fla., in November 2010 and has a second slated to open this fall. Initial development efforts are focusing on Florida and selected markets along the East Coast before going national. Chief Concept Officer Mark Johnston, his wife, Concept Development Director Arlene Johnston, and his brothers, Chief Executive Officer Bob Johnston and Vice President Mike Johnston, founded Burger 21 in November 2009. The brand will be developed through single-unit and area development agreements that require a minimum of three to five units in primary and secondary markets. Tampa-based Front Burner Brands (formerly TGS Management) will serve as the umbrella organization for Burger 21, The Melting Pot, and Grillsmith restaurants. International Monetary Systems, Ltd., a business-to-business barter services company, is launching a franchise division. The company's proprietary transaction clearing software allows businesses and individuals to trade goods and services online using an electronic currency known as trade dollars. "Until now, all of our offices have been corporate-owned," said CEO John Strabley. "We believe that offering IMS barter franchise opportunities to creative-minded entrepreneurs will add another dimension to our expansion efforts." Founded in 1985 and based in New Berlin, Wisc., IMS serves 23,000 cardholders in 51 North American markets and is one of the largest publicly traded barter companies in the world. ShopHouse, Chipotle's Asian Venture, Opens in D.C.
After much hype, anticipation, and expectation, ShopHouse Southeast Asian Kitchen, Chipotle's first spinoff, opened in Washington, D.C.'s Dupont Circle on September 15th. The concept, described an Asian variation on Chipotle's Mexican fast-casual format, is the brainchild of Chipotle founder Steve Ells, recently profiled in Fortune magazine. Ells, a classically trained chef who opened the first Chipotle in 1993, spent more than a year personally developing the ShopHouse menu. The concept follows Chipotle's serving-line model where diners customize their meals. At ShopHouse, however, it's a bowl filled with rice or noodles, vegetables (e.g., Chinese broccoli or eggplant), garnish, sauce, and a topping - plus, of course the meat (chicken satay, pork meatballs, grilled steak) or organic tofu. Based in Denver, Chipotle operates 1,131 locations, mostly in the U.S. (and 1 ShopHouse). Australian mobile coffee concept Cafe2U has opened its first U.S. franchise. After traveling to Australia for training, Katie Luelling will operate the Cafe2U unit in Bend, Ore. "We are delighted to finally unveil the brand in America in the true operational sense. The U.S. market represents a mature coffee market with many significant opportunities to stimulate growth," said Cafe2U Managing Director Derek Black. Earlier this year, Cafe2U signed a master franchise deal in the U.S., and has plans to roll out 50 area representative franchises and 3,000 units across the U.S. in the next five years. Charter Fitness Franchising has been approved to franchise its Charter Fitness Health Club brand nationally. Immediately following the approval on September 1, 38 Cardinal Fitness locations in greater Chicago, Northwest Indiana, and downstate Illinois were converted to Charter Fitness. Charter expects to hire more than 200 new employees over the next 12 months, mostly as personal trainers. Based in Orland Park, Ill., Charter Fitness is a health club franchise with 46 locations in six states.